Mark: Hi, it’s Mark Bossert from Top Local Lead Generation. We’re here with Criminal Defense Attorney, Troy Anderson in Vancouver, BC. How’re you doing today Troy? Troy: Very well thank you, how’re you? Mark: I’m good. 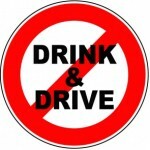 So we’re going to talk about impaired driving and maybe some of the changes that are taking place. Is it still a crime in BC? Troy: Well, it is still a crime, still a crime all across Canada. What we have done in British Columbia is, we have what in my opinion amounts to effectively decriminalized most impaired driving and what I mean by that is it is not typically proceeded with under the Criminal Code anymore. What we’ve done in British Columbia is our provincial government has instituted what is called an immediate or automatic road side prohibition and it largely takes the place of an impaired driving criminal charge, so if you are a regular guy who perhaps blows over the legal limit which is .08 you will probably be dealt with administratively using the IRP or the Immediate Roadside Prohibition Program and then you would not be prosecuted criminally. It’s of course different if something more serious, so you’ve got a long history of impaired driving you will still be probably charged criminally. If there’s a serious accident particularly involving a fatality or significant injuries then you’ll probably be charged criminally but for most people who are charged with impaired driving it’s now under the IRP program and what that is, is the officer rather than taking you back to the police station, have you blow into the what we call the breathalyser, that’s not generally done anymore. What they will do, is have you use what’s called an approved screening device at the roadside and that’s a hand held version, it’s not as accurate as the one at the detachment but basically it’s a hand held breathalyser which will tell you if you blow either under 50 which would be you’re fine, go on your way. If you blew .05 to .1 so 50 a 100 milligram percent of alcohol in the blood you would blow a warn so you would likely be given a 3 day suspension if it’s your first time and if you blew fail which is calibrated to 100 milligram percent over you would be given a full 90 day immediate roadside prohibition. That carries with it a monititory $500 and then you would and as it sounds a 90 day driving suspension. You would then have to take part in a responsible driver program which will often involve going for intensive counselling, taking a driver improvement course and will often involve you having to have installed a car breathalyzer in your vehicle with you need to blow into to keep your car running and that’s in place for a year so it has very significant consequences altho technically it’s not a criminal proceeding. Mark: O.K. well that boggles my mind. So no court, no judge just the device decides whether you’re guilty or not, basically. Troy: You are entitled to a review, you are not entitled to a review in front of a judge, you’re entitled to file within 7 days, an application for a review of your Immediate Driving Prohibition, you would then be given a hearing date, be it a written hearing or oral hearing and it’s done by telephone from an adjudicator who works for Road Safety BC which we used to call the Superintendent of Motor Vehicles. They conduct a hearing on very, very limited grounds to determine whether or not they ought to uphold or appeal your driving prohibition and all the consequences that flow from it and in fact the only way a judge gets involved is if for example, you lose your administrative review and you apply to the Supreme Court Justice for judicial review of the adjudicators decision so to get to a judge takes some doing and it is quite expensive. Mark: So I guess that wraps up the next couple questions, so how it’s decided, how to proceed – you can fight it if you want and how do you defend it, I guess best with representation in front of the adjudicator? Troy: Well a lot of , well we’ll start with, first of all how does it proceed and I covered a little bit of that earlier so if you are someone who has no history of impaired driving and you haven’t received IRP’s in the past they will proceed with a IRP. If you are somebody who does have a history involving impaired driving they will probably proceed criminally and that’s a whole other discussion about what occurs in criminal court and your rights and particularly your charter rights that you can assert in a criminal trial in which you can’t actually assert in an administrative appearance so a lot of the protections that are available to all of us as citizens are stripped away in these administrative hearings so it’s a much narrower defense so getting back to the essence of your question, how do I proceed; it generally is better to have a lawyer I think represent you on these IRP’s because impaired driving is still a technical area of the law. The science that goes into it, the machines that are being used and knowing what to look for in trying to find flaws in the reports that are prepared by the police is a skill the average person probably doesn’t have. One of the things you can also attack, you can provide evidence that the reading on the approved screening device was not accurate, that is your blood alcohol level was not such that you would blow a warn or fail and for most people to marshal that evidence including the expert report that you would need, it would be very difficult particularly with only one or two turnarounds which is all you get so it’s probably a good idea to get a lawyer involved. Mark: So what if I’m charged criminally? Troy: Well if you’re charged criminally then the stakes are obviously higher. The minimum penalty for impaired driving criminally is a one thousand dollar fine and a one year driving suspension that applies Canada wide. It also address ten penalty points on your motor vehicle record here in British Columbia which may result in further suspensions, so once you get charged criminally it’s an entirely different experience in the sense that you’re actually called in front of a judge, you are entitled to disclosure of all of the material that the police have used against you and that’s going to include the maintenance and calibration material relating to the machines that they use. You are entitled to the protection of; you’re entitled to rely on your charter rights for example your right to be free from unreasonable search and seizure, your right to be free from arbritory detention so what occurs at the roadside is now the subject of judicial review, not completely cast aside as it is on the administrative appearance. So you are able to cross examine the police officer on why he or she took the steps that they did, you’re entitled to rely on technical defenses because the Crown is trying to prove a technical defense so there’s a lot of very, very detailed scientific and technical arguments here entitled to make in criminal court but may not be available in the administrative hearings, as well you get full protection of the charter and that will have significant affects. Significant affects for example in an application to exclude your blood alcohol readings from evidence which is something that I would always consider making on an impaired driving case, especially on a more serious one. Mark: So am I reading this wrong, it seems like they kind of fuzzied the line, like .5 is now enough up to .1 so that’s actually over the .08 so it’s fuzzy where you can be in exchange for while yeah but we’re just going to rubber stamp you and goodbye driving for three months. Is that sort of what’s going on? Troy: Well, that’s not how I would necessarily characterize it. A lot of people do call it a rubber stamp. I wouldn’t go that far. There are reviews and I do win some of these reviews, so it’s not a rubber stamp and you do have a right to push forward your evidence in affidavit form in calling your supporting witness to provide their written materials and hiring an expert but you’re quite right, it is very confusing, I think for a lot of people, like am I going to be charged with impaired driving if I have 2 glasses of wine and then drive home and it’s a very, very tough line to kind of straddle I suppose and our provincial government says, well that means that we will have a few people drinking and driving and that is their public policy. What has always concerned me about this is you get somebody who is very impaired and who is actually quite dangerous who is going to be treated exactly the same as the guy who’s a little bit over and who’s driving may not be that bad and I think that nuance and exploration of the evidence so that we know who we’re dealing with, I think is lost in a lot of these administrative hearings so the very dangerous drunk driver gets a break and guy who’s maybe had half a beer too much is treated exactly the same which I don’t think is necessarily fair and I think it unfairly, it’s unduly harsh on some people and far too lenient on others. Mark: So this is the guy who understands this better probably than you do and if you get into difficulty, he’s the guy to call. 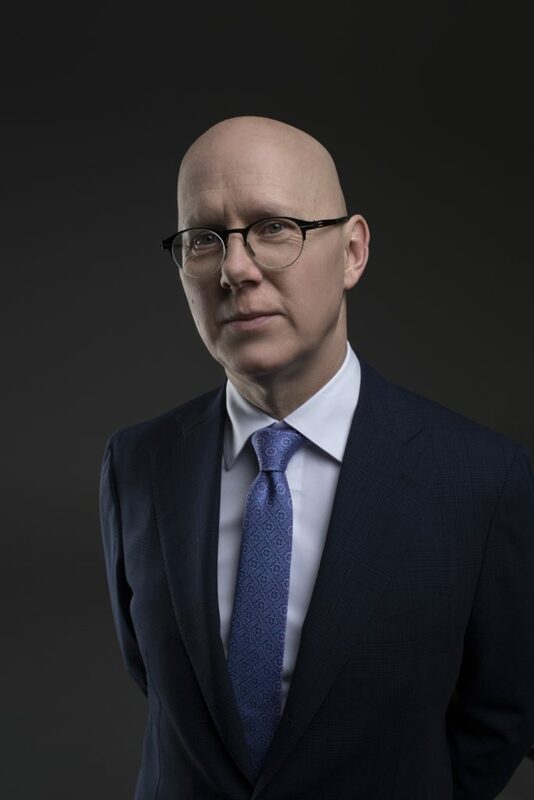 We’ve been talking with Troy Anderson of troyandersonlaw.com. Call him 604-638-9188. He’s the guy who can help you out if you’ve got any kind of difficulty. Thanks Troy. All about search warrants in BC with criminal defence lawyer Troy Anderson in Vancouver. Mark: Hi, it’s Mark Bossert from Top Local Lead Generation and we’re here with criminal defence attorney Troy Anderson in Vancouver. How’re you doing today Troy? Troy: I’m well thank you, how are you? Mark: Good. So we’re talking about an important subject, I know we’ve have conversations about this in the past, so how do search warrants actually work in the province of BC? Troy: Well, search warrants are pretty standard throughout the country because criminal law is a federal jurisdiction, the criminal code applies Canada wide. But we’ll begin with the obvious question, the one that requires the most immediate answer. So what do I do if the police show up with a search warrant? Well the short answer is that they’re going to come into your house one way or another. If they have been authorized by a judge or Justice of the Peace and if they’ve been granted a search warrant, they’re coming in. So if you’re home, the simplest thing is to probably just open the door and let them in, otherwise they’re going to break it down one way or the other. So save yourself the repair bill. But that’s where your cooperation, I think, should generally end. You want to stay out of the way, so you don’t get charged with any additional offences for obstructing a police officer, for example. What you don’t want to do is start showing them where the evidence may be, because that’s what they’re there looking for, they’re looking for a piece of evidence, be it a weapon, some drugs or some other forensic evidence if we’re dealing with a more serious crime. And the search warrant may or may not be a valid search warrant in the sense that it may have some problems with it and you may later succeed at having that search warrant set aside and succeed in having a Court rule that the evidence is not admissible. But when you start pointing out where the evidence is and actively assisting the police, that’s actually a statement you’re giving against your interest and may undermine some arguments they have in the future. What you have to remember is, you are under no obligation to assist the police if they’re at your home or place of business with a search warrant, you consider yourself a suspect and you exercise your right to silence. So that’s the short answer to what to do if the police come knocking with a search warrant. Mark: So, how do they get a warrant in the first place? Troy: Well, what happens, certainly in British Columbia is the police will undertake an investigation and during the course of that investigation, they will presumably gather some evidence. So it may be surveillance, it may be witness statements, it may be evidence from a confidential informant and what they have to do is gather enough evidence to satisfy a Justice of the Peace with sufficient grounds to believe that there is evidence in a particular place, that will afford proof of some particular offence and if can’t be some generalized offence, it has to be a particular offence. So what they do is they will attend either by fax or in person in front of a Justice of the Peace and present, what is called Information to Obtain Search Warrant, and that is a sworn document, looks very much like an affidavit, where they lay out the evidence, that as the basis for their belief that if they’re allowed entry into a certain place if will afford evidence of a particular offence. They will lay out what they’re looking for and why they think it’s there and if the Justice of the Peace is satisfied the search warrant is authorized. It’s authorized for a discreet time period and sometimes the police will have to literally wait at the door until the time named in the warrant and then they can go in. Mark: So, if they find something, how do I know what they’ve seized? Troy: Well, that’s an interesting point because a lot of times a search warrant will be executed when there’s nobody at the residence or if it’s a storage locker, for example, there’s probably nobody there and they will go in and you come come and there’s a copy of the warrant sitting on your kitchen table for example, and your place has been turned upside down and you don’t know what they taken and what they haven’t. It becomes particularly important when the warrant for example authorizes the seizure of documents to prove ownership, it may be authorized in the seizure of cash for example. So you may or may not know what’s missing and what has been taken versus what has perhaps been misplaced. So what the police are required to do is file what’s called the Form 5.2 and that’s to be done basically as soon as reasonably possible with the Court Registry. It’s called a Form 5.2 Report To A Justice and it is to contain a list of everything that was seized when they executed a warrant. I should probably say, that applies to anything that is seized by the police even without a warrant. So if you’re pulled over and they seize something from your car, without a warrant or you’re arrested and they seize something from your person without a warrant they still have to file their report. so basically anytime the police take something that belongs to you or that you have an interest in, you’re entitled to go down to the Court Registry and look for a copy of the Form 5.2 to find out exactly what’s been taken and where it is now. Mark: What about the warrant? Can I find out the reason? Do I know any kind of reason, if this is a surprise in any way, do I have a way to find out what the basis that the warrant was executed or was granted? Troy: In most cases you can. The information to obtain search warrant is filed in the Court register, so if you learn that a search warrant has been executed on your property, you can go down to the Court Registry and ask the Registry staff to provide you a copy of the information to obtain search warrant. Often times what I will do, is I’ll go on behalf of a client and I will get a copy of this information to obtain search warrant. It’s a very valuable opportunity to learn very early on, what the case may be, because it will contain generally, an outline of the investigation up to that point and what they hoped to find. Now of course, the exception is on some serious cases, particularly when there are confidential informants involved, the police will sometimes seek and obtain what is called a Sealing Order which means that the information to obtain search warrant is in the Court Registry but there’s an order of the Court not allowing anyone to have a look at it until a further order of the Court is made. So in a scenario like that, you have to go through a process where you deal with the Crown and you bring in application to unseal the warrant. If there is information relating, for example to a confidential informant in that information to obtain, that is vetted out so that it doesn’t compromise the safety or identity of the confidential informant and then you get what is called a redacted version of that information. So sometimes you can get it right away, sometimes you have to wait but in basically every case I can think of, you get a copy of that eventually. It’s better to get it early, if it’s possible and that’s my practise but eventually you will get it. Mark: So I guess, maybe you said this and maybe I didn’t understand, which is normal, but if there’s a search warrant executed or granted and they’re at my door, they collect my stuff, they leave is there automatically going to be charges after that or will they have maybe not found anything and so they don’t do any charges. How does it go forward from there? Troy: What happens then is if a search warrant is granted, that’s an investigative step. What occurs at that point, let’s assume that they found a bag of drugs for example, they then need to assess the evidence that they have, they may recommend a series of charges to the Crown Prosecutor who will then assess whether there is sufficient evidence to lay a charge. So for example, if you live in a house with four roommates, the police executed search warrant and there’s a bag of cocaine for example, sitting in a drawer in the living room, the Crown may be of the view that they’re not going to be able to prove which of the four of five people living there actually possess that because it wasn’t in plain view and there may not be fingerprints on it. So if the police have a search warrant and they find something in your house, chances are you’re probably going to be charged but it’s not a certainty. Mark: Right, it’s a bit of a fishing expedition but with for cause basically,that’s what they have to have. Troy: That sort of leads us into the next obvious question is there any way to challenge that search warrant and of course you can only challenge it after it’s been executed and if you have been charged. So your term “fishing expedition” is exactly what the police are not supposed to be engaged in. There needs to be evidence to point to a reasonable belief that there is evidence in a location of a particular crime. It’s not to be a fishing expedition. So if you are charged or if you are going through civil forfeiture, then you will probably want to have a good, long look first at the facial validity of the warrant, that is, was it validly issued for this particular location, at this particular time and probably and you’ll probably want to have a look at the information to obtain, to bring an application if it’s warranted to try to convince the Court that the JP ought not to of issued this warrant – because of, for example, carless drafting, information that tended to mislead the issuing Justice. There may be things that are outright incorrect in the information to obtain and if that is the case, certain paragraphs may be excised from the information to obtain search warrant and it may be that the Court considering your trial is of the view that it ought not to have been issued and therefore you can have an application to exclude the evidence. So just because the come knocking at your door with the warrant and they find something in your house that’s the start of the fight, not the end. Mark: Right, and the assumption would be, well geez if they’ve got this down they’re probably already got me. But you actually defend people and are successful with getting this kind of stuff quashed…not like automatically or all the time, but on a certain level, there’s mistakes made. Is that right? Troy: There are mistakes made and there are instances where the police have been found to be misleading the initial inJustice. There’s also a requirement that, this is what they sometimes forget about, the requirement that if you have sought a warrant in relation to a particular investigation and have been declined and then you go back and try again, you have an obligation to tell the Justice that you’ve been denied a warrant previously. So those are the sorts of cases where you sometimes, you can almost see the frustration in the affidavits, and they keep trying to come up with another reason why they should be allowed in. It’s not a foregone conclusion that a warrant will be upheld, nor is it a foregone conclusion that it will be found to be invalid. Each case has to be looked at in it’s own merits and if you’ve got an experienced defence lawyer, sometimes you get to know some of the tricks a particular officer’s like to use, you know some of the shortcuts they like to try and in cases like that, it can be quite effective. Mark: This doesn’t pass go. Troy: Yeah, well, that’s what you hope. We’re answering questions about police searches in BC – what rights do you have and how do you deal with all kinds of searches? Mark: Hi, Mark Bossert, Top Local Lead Generation. We’re here with Vancouver criminal defence lawyer Troy Anderson from troyandersonlaw.com. How’re you doing today Troy? Troy: Very well thank you Mark, and you? Mark: I’m good. So Troy, we’re going to be talking about police searches and I know there’s quite different rules in different parts and people have impressions from what they see on television. Maybe you can let us know what the actual rules are in British Columbia? Troy: Sure, the rules relating to police searches vary dramatically from case to case. So we’re going to begin with the simplest scenario and that’s the person walking down the street who is stopped by a police officer. What many of us forget is that you as an individual, have a right, generally, to be left alone, so in order for a police office to stop and search you there has to be some basis for the stop – not simply a desire to search you – because you do have that right to be left alone. So for example, if a police officer who’s going to arrest you sees you shoplifting of something like that or believes he has the grounds to arrest you, he or she is entitled to search you incident to the lawful arrest. That’s long been enshrined in our criminal law. But most interactions that you see on the street where the police are searching somebody is probably something short of an arrest and some of them which you hear in the media refers to a street… are actually characterized as a voluntary interaction with the police, which for anyone who’s observed them or been through them notice it is far from voluntary interaction. It is the police pressing the advantage, I think this is as polite as I could put it and perhaps preying on people’s ignorance of their own rights. There is no power for the police to do a street check, they can stop and ask questions, but of course, you have no responsibility nor do you have a duty to actually cooperate with that. If they do have the grounds to arrest you, that is something different. To confuse things, there is the police detention which is where the police may have grounds to stop and investigate a crime and have the power to detain you for a brief period. That’s something shorter than arrest and their power to search you incidental to a detention, are actually less than they are on a lawful arrest. So they can do, for example, a quick pat down search for officer safety, make sure you don’t have a gun stuck down your pants or something like that but they really shouldn’t be turning your pockets out, looking inside your wallet and the like. The most important thing for the average citizen to remember is that if the police want to start looking through your pockets they need to have a lawful basis to do so, not simply them saying turn out your pockets. They have an obligation to inform you of why you’re being detained and why you’re being arrested and then you can act accordingly based on that information. Mark: So, do the police have a right to search my car? Troy: Well, a car is something very different because the police dealings with a driver of a motor vehicle generally begin with an investigation. For example, under the Motor Vehicle Act, you’re stopped … they have the power to pull you over under the Motor Vehicle Act to ensure you have a valid drivers licence to ensure the vehicle is insured, there’s a couple other ones we don’t need to go in to. So you do have an obligation to stop and identify yourself and the officer, and again for officer safety reasons does have a limited power to look into your vehicle, and that’s not asking you to open up the trunk, that’s not asking you to open up the glove box, and it certainly does not empower an officer to haul you out of your car, make you stand on the curb while he starts looking under the seats, in the trunk, in the glove box, through the bags of groceries that may be in the back seat. That is not empowered by a brief officer safety cursory search of a vehicle. The power to search a vehicle can flow again from the power to search incidental to a lawful arrest. so if you’re foolish enough to be driving while smoking a joint, then you can be arrested for that and your vehicle can be searched incidental to that lawful arrest. but short of that, no there is no general right to search a vehicle. In order for an office to search a vehicle, unless it’s besides the scenarios I’ve just outlined, just as they do with your home, or your office or any other place. Mark: So you’d mentioned, do they have a right to just walk up and start searching my house? Troy: No, no that used to be the way many years ago, before we had our Canadian Charter of Rights and Freedoms. Now for a police officer to search your house, the general scenario was that the police officer needs to obtain a search warrant. So what that police officer will do, they will conduct an investigation and put together what’s called information to obtain search warrant and that’s an affidavit that is presented to a Justice of the Peace who then decides if there’s sufficient evidentiary basis to grant to the police the power to enter your residence to conduct a search. That power is circumscribed by time so a police officer is not entitled to go in until the time specified on the warrant. There are of course some exceptions. If a police officer is dispatched to a 911 call where there is a report of someone screaming inside a residence, our Supreme Court of Canada has said that the officer actually has an obligation to go and ensure that there’s nobody hurt inside. But once again, that’s a circumscribed power, it doesn’t give the police officer the power to for example, start poking around in your freezer to see if you’re got anything you shouldn’t have in there, or go through all your cupboards and the like. Interestingly enough, there’s further protection afforded to your computer and you’re a computer guy, so I’m sure that would be of interest to you. The Supreme Court of Canada over the last couple years has recognized that a persons personal computer contains a wealth of very personal information and so there’s another search warrant requirement to go through somebody’s computer for example. So there ways for them to search your house, your computer or your car but is circumscribed by law and it’s actually quite limited and most of the time, they need judicial authorization to do so. Mark: So what can I do if I think the police has unlawfully searched my, me or my property? Troy: Well, the one thing you will do is if they have searched your property and they see something, the chances are you are facing a criminal charge and your remedy is to then contact your lawyer and your lawyer will then look at the justification if there is one for the search and seizure of your property, and if you’re facing a criminal charge, and the property in question is contraband, so for example it’s drugs or it weapons or something like that, then the application to to apply to have that piece of evidence excluded from the Court’s consideration. So what you want to do is show the Court that is was unlawfully obtained in violation of the right to be free from unreasonable search and seizure as guaranteed by Section Eight of the Canadian Charter of Rights and Freedoms and if you’re able to show that, they you can apply to the Court to have the evidence excluded. So that means there would be no drugs available for example, to prosecute you for possession of a controlled substance or possession for the purpose of trafficking. It may also apply if your property has been unlawfully or unreasonably searched it can come into play when you’re dealing with issues such as civil forfeiture. There’ve been many occasions where people vehicles have been seized and the province, the office of civil forfeiture is trying to have the vehicle forfeited as offence related property. For example if they found a marijuana grow operation in your house, they may try to seize your house as offence related property. Our courts in British Columbia are now coming down, I think, more and more strongly on the side of the notion that your charter rights apply not only to criminal proceedings but also civil forfeiture proceedings. So it’s very important that you get legal advice if you are involved in any scenario where something of yours is being searched by the police. Mark: Great, thanks a lot Troy. This is a fascinating subject for me and I know that most of us, and I put myself in that category, don’t really know what all our rights are and what we’re informed by American television which is not accurate in a lot of cases. Would you agree? Troy: The notorious stop and frisk policies for example in New York City, people are just being stopped in the street and patted down for no reason other than having a particular skin colour and that’s not allowed in Canada. We wouldn’t tolerate that and that’s one of the reasons why we have such circumscribed powers of search and detention on the police. They actually have to be able to articulate the reason for every stop, not simply, I wanna search that guy. Talking with Vancouver criminal defence lawyer Troy Anderson about Legal Aid in BC and the cutbacks that have crippled the system. Mark: Hi, it’s Mark Bossert from Top Local Lead Generation. We’re here with criminal lawyer In Vancouver, Troy Anderson. We’re going to talk about the legal aid system in BC. How’er you doing today Troy? Troy: I’m very well thank you. How are you? Mark: I’m good. So I guess we just jump right in, what is the legal aid system in British Columbia? Troy: The legal aid system is, quite frankly in my opinion, a rather underfunded system compared to certainly, the way it used to be, the way it is in some other jurisdictions. We’ve had over the past twenty years, a significant reduction in the funding to the legal aid system through the provincial government. I’m not going to go through the ins and outs of how that happened and how it was meant to be funded and how it is now funded today. The long and short of it is, the funding levels are far below what it once was. 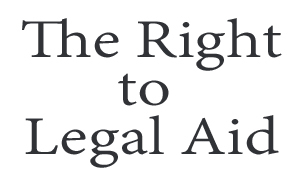 The legal aid system, in short, what it is in British Columbia is a publicly funded system. It is administered through the Legal Services Society but its services are delivered, that is the legal services are delivered by private lawyers who are free to accept or decline a referral from a legal aid as they see fit. 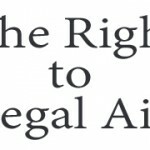 What we’ve seen over the last twenty years is the number of lawyers prepared to act for a client being funded through legal aid has declined by about half and a large measure of that is there seems to be this expectation that you do a lot of unpaid work. That is the reality of the legal aid system we work in but it affects everybody in the criminal justice system because as you have legal aid being funded less and less and less and fewer and fewer people qualify for legal aid which is the real point, you get more and more people being forced to represent themselves. So what we have is a publicly funded, privately delivered system, which excludes, in my opinion, a number of people who really need legal representation and have absolutely no means of affording it. That’s in short, the legal aid system in British Columbia. It’s a functioning model but at the level of funding now I would call it barely functioning. Mark: So, do we have like public defenders? I guess maybe not from the way you just described it. Troy: No, there was a time, probably 15 years ago or so, we did have a public defenders system in British Columbia, it was dismantled by the Legal Services Society I think in part because it was very expensive. You had to pay for offices, you had to pay for support staff and you had to pay for lawyers. Carrying all that bureaucracy costs a lot of money. So we moved away from that about twenty years ago we have what we have today. We’ve gone back away from the public defender model and for reasons I don’t understand there is some talk maybe about reinstating it in some form. Be it by contract versus employees but there is certainly discussion of that. But as it stands right now, there is no public defender model. If you get a lawyer on legal aid, it’s going to be somebody in private practise who chooses to take that case. The benefit to that is, is you have as somebody, if you do qualify for legal aid, you have some ability to choose the lawyer you get versus having a public defender that is simply assigned to you as used to happen, and as I believe happens, for example in the US. So the short answer is no, there’s no public defender system, but like it or not, we may be going back to it. Mark: You kind of broached the subject of people defending themselves, how does that affect the legal system when someone you know, I’m going to represent myself, I mean, for me it’d be my client is a fool – but how does that work for the rest of the system? Troy: That’s an old saying Mark, and you’re a bright guy, but for you to undertake the defence of a criminal trial would of kind of be like me trying to rewire my house. I might be able to muddle through it, of course I could burn the whole place down. That’s what you often see, so what it does and this is why I think a lot of thd funding decisions are a little bit short sighted. When you have somebody who is representing him or herself, they don’t know how to do it, they’ve probably never been to court before, don’t know how, don’t know what the rules of evidence are, don’t know when to object and have no one there to help them. The way it works is, the trial judge has an obligation to provide some assistance to the person who’s representing him or herself. The Crown also has an obligation to put forward all of the evidence and really all of the arguments because the Crown prosecutor’s obligation is not to win but to fairly present the evidence. Now if you have in an adversarial system like we have, two lawyers then it’s a fair fight. If you have a lawyer versus Joe Average, it’s probably not a fair fight and it takes a lot longer because the Crown has to explain everything, the judge has to assist the person and simple things like making admissions a fact, can’t be done because, at least in my opinion, it’s not appropriate to ask somebody who is representing him or herself to make an admission a fact when they might not understand the significance of that. So if I’m doing a trial, I may on a drug trial admit that the substance seized from a vehicle for example, was in fact analyzed later to be cocaine, I will admit the continuity of the exhibit, which means that which was seized is the item that is brought to court, because I know what to look for, I can satisfy myself that they’ve done it all properly and I can make that admission. A self represented person doesn’t know how to do that, can’t make that admission, so now we send two hours hearing evidence in court that if there was a lawyer involved would be admitted and court time is expensive. You’re paying a judge, you’re paying a prosecutor, you’re paying a sheriff and you’re paying court staff. So I think it’s very short sighted. The other thing that is does, is that it clogs up the courts, so if I’m there and I’ve paid my lawyer you may end up waiting there for the self represented trial to get done so that you can get on. So it delays everything and it sometimes costs individual … money. Mark: So it sounds like the legal aid system is, you know, they’ve cut so much bone out of it that it’s broken. So what are lawyer doing about it? Troy: Well, the lawyers in British Columbia, not only in British Columbia, we’ve seen the same thing in England and Wales have began to withdraw. What we’ve done here in the Lower Mainland is we withdrew services from a number of the major court trials for the month of July. We will continue to be doing that in short increments throughout the Fall. We’ve had past job actions over the past several years to protest the legal aid cuts and what I think people don’t understand is, there is a perception among the public that this is a bunch of lawyers trying to get more money. Nobody is getting rich doing legal aid in this province. What the lawyers are taking job action for is to ensure that the people who need a lawyer actually get a lawyer because at the heart of the Criminal Justice System is fairness and it’s simply not fair, if you’re like I said Joe Average and you’ve got a trained prosecutor, trained investigators and a judge who know what’s going on and you’re standing there saying well now I’ve got to defend myself – how does that even appear to be fair? These people are all the doing they can, the judges and the prosecutors to be fair, but again it’s like me trying to rewire my house – it doesn’t work. Troy: Well, yeah, a book that I probably don’t have enough time to read. In order to become a lawyer, you’ve got to have three years of law school plus a year of articles and in order to start really, effectively doing the job in a trial for you need years of experience. If you watch a junior lawyer versus a senior lawyer, it’s like night and day. Now imagine the junior lawyer minus the legal education and you get an idea of what it’s going to be like. Troy: Thanks Mark, nice to see you again. Criminal Defence Lawyer Troy Anderson – Answering questions about disclosure and how important it is to your case. Mark: Hi, it’s Mark Bossert from Top Local Lead Generation. We’re speaking about disclosure and how important that is if you’re in any kind of criminal difficulties with Troy Anderson from Vancouver BC. He’s at troyandersonlaw.ca. How’re you today Troy? Troy: I’m very well Mark, but of course it’s troyandersonlaw.com. Troy: Well that’s fine, its troyandersonlaw.com and yes I’m happy to talk about disclosure with you. We’ve spoken a little bit about it in the past, could have been passing in some of our other discussions. Disclosure is probably, in the lead up to a trial, maybe the most important thing that your lawyer can focus on; it applies to any sort of a trial no matter how minor or serious. The most trivial matter for many people is getting a traffic ticket. What many people don’t know is that you’re entitled to the disclosure of the officer’s notes which are often contained on the back of the ticket which he will probably not show you unless you specifically ask for it, right up to a murder charge where you’re entitled to disclosure of, for example all of the lab procedures and notes used to process that piece of DNA evidence for example. It applies to every single criminal or even quasi criminal proceeding that we have in Canada. It is your very first look at the case against you that is the case that you have to meet when you are called upon to mount your defence. It is best if you get as much of the disclosure as you can prior to having a bail hearing, if you’re looking at that and perhaps I should back up a little bit. What I mean by disclosure is I mean first and foremost the report to Crown Counsel. So that’s what we call a police report. It will include all of the police officers notes, it will include their reports, it may include photographs, diagrams, video recordings, expert reports. Really you are entitled to the entirety of the evidence that has been gathered against you, whether or not the Crown intends to use it and whether or not it tends to be inculpatory, that is tending to show you’re guilty or exculpatory which would be tending to show you’re innocent. For example you are entitled to disclosure of the witness statement who may perhaps identify someone else as the perpetrator of the crime. So I think you can probably see why it’s so incredibly important. It is your look at the case against you. It allows you how to plan out how to meet that case. Mark: So how do I get it? Troy: Well, the thing to keep in mind is disclosure is a right. It is your right to have disclosure of the evidence gathered by the police or any other investigating authority and so a simple way to get it is, your lawyer asks for it and it is handed over. In most cases as a matter of routine but where your lawyer may come in it’s often not complete and if you’re in court on your own and you receive a disclosure package which has what the crown chooses to hand over at the beginning, you may not know what else you’re entitled to and so what your lawyer does is goes to the Crown, gets a copy of the initial disclosure and my practice is to go over it with my client. My client will sometimes know things that are missing that I’m unable to, so for example he or she may say; I gave a statement that’s not in there. Well then I know that I need to ask or demand for production of that statement. Another example may be in a more technical offence such as an impaired driving case the average person won’t know that they’re entitled to the calibration records for example, used in the breathalyser devices and so your lawyer will know what to ask for. In a case involving scientific evidence such as DNA the average person will have no idea what they’re entitled to and so they won’t know even enough to ask for disclosure of the entire lab notes for example and work notes. I’d like to finish that bit off because if asking for it doesn’t get it you are then entitled to bring a disclosure application to the Court and judges will commonly, if its relevant evidence make an order that the Crown disclose certain materials to you. So that’s the other thing to keep in mind is , it is your right, it’s not you’re asking for something and hoping that the good will of the Crown will give it to you, it is your right to get it and you’re entitled to demand it. Mark: So that answered my question basically. Troy: I got ahead of you. Yes, and then I think we’ll move onto the logical conclusion from there, is what other remedies may I have and the Courts have long recognized that disclosure is a fundamental right. You are entitled to know the case against you and the next step as I just indicated is to apply for an order for disclosure and it may come to the point where the Crown is unable or unwilling to comply with that order. If the Crown does not or cannot comply with an order of disclosure there are other remedies available. One of which may be the Court can prohibit the Crown from calling certain pieces of evidence that they’ve been unable or unwilling to disclose. There have been cases where the Crown has been prohibited from calling certain witnesses and then of course the ultimate remedy is what is called a judicial stay of proceedings and what that is, is when your are able to establish to the Court that this would be one of the clearest of cases and that’s the test to be applied that no other remedy would satisfy the violation of your right to disclosure short of the judge entering a judicial stay of proceedings and that is essentially the judge throwing the case out because the Crown has failed to fulfill their obligations. There’s a case from many years ago where the Supreme Court of Canada outlined the test for that and the one I’m thinking of in particular is where evidence had been lost and so a police officer or crown prosecutor without any ill intent has simply either lost or destroyed evidence and there’s a test to be looked at to be applied by the Court on the degree of negligence or the degree of care with which the Crown or the police undertook their disclosure obligations. So you can see in any scenario where the Court may entertain a judicial stay of proceedings application that is ending the entire prosecution that gives you a sense of how really important disclosure is and how it is fundamental to your right to a fair trial. Mark: Is there anything else you’d like to add? Troy: Well, I think again and this is a theme we’ve talked about in the past, if you are charged with a crime and you are planning on having a trial it is very important I think to get legal advice early. Some types of disclosure requests are time sensitive, for example many businesses have video tape or video surveillance systems that record over in a time period, so for example they may keep video evidence for 30 days and if you don’t request it, it may be gone and you may lose valuable evidence that may be crucial to your defence so like many things involved in the criminal defence system don’t wait til the last minute, get a lawyer on your side early so you can gather the evidence you may need. It may make all the difference at the end of the day. Mark: So, we’ve been talking with Troy Anderson of troyandersonlaw.com. You can reach Troy at 604-638-9188 in Vancouver. If you have any kind of criminal difficulties he’s the man to call 604-638-9188. Thanks a lot Troy.